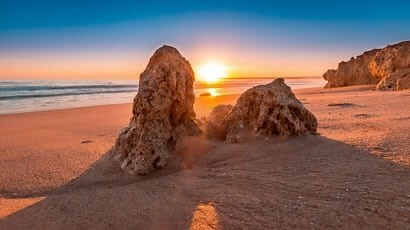 Read about the many advantages of investing in Portuguese property in Part 1 of Buying An Investment Property In The Algarve. When you purchase a property in Portugal, as with any other country in the world, there are ongoing costs and taxes to pay. You can see information about these HERE. In addition to that, especially if you are planning to rent out your holiday home in the Algarve, there are of course some maintenance costs involved. If you are not able to manage and maintain your property investment yourself, it will be important to have it well cared for all year round on your behalf. This ensures that your home is in top condition for tenants/guests, plus when the time comes to sell your property it maximises the likelihood of the best valuation possible. Examples of services you will need to pay for are maintenance of gardens and pool, plus cleaning and laundry services if applicable. You may wish to work with a property management company to manage your bookings/tenants, pay utility bills and taxes, supervise maintenance works and just generally ensure the property is always in a good state of repair. We have a panel of recommended Property Management companies, please contact us for information. The income you can expect will depend of the type and quality of property you offer, its location and where holiday lets are concerned, the season. Where short term holiday rentals are concerned, on a weekly basis and during peak season (June to September) you can ask between €500 and €1500 for a two bedroom apartment, depending on its location, if it has a sea view or luxury facilities etc. A four bedroom villa with private swimming pool can generally be rented out for between €1500 and €4000 per week, again dependant on location and facilities. As a guide for periods out of peak season, April, May and October would be charged at approximately a 25% to 30% discount of peak season. For winter season from November until March the weekly rental charge can be up to 50% less than peak season rates. 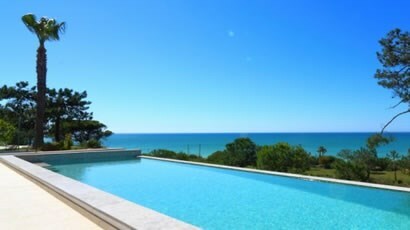 An annual/long term rental in the Algarve can bring anything from €500 per month for a standard one bedroom apartment, to a tremendous €10,000 per month for a luxury villa in a prestigious location. When renting out Portuguese property, the income is always taxable in Portugal, regardless of residency. It's important to understand these tax implications. For non-residents, tax on LONG TERM rental income is set at 28%, although property maintenance, repair expenses and IMI (property tax) may be deducted. 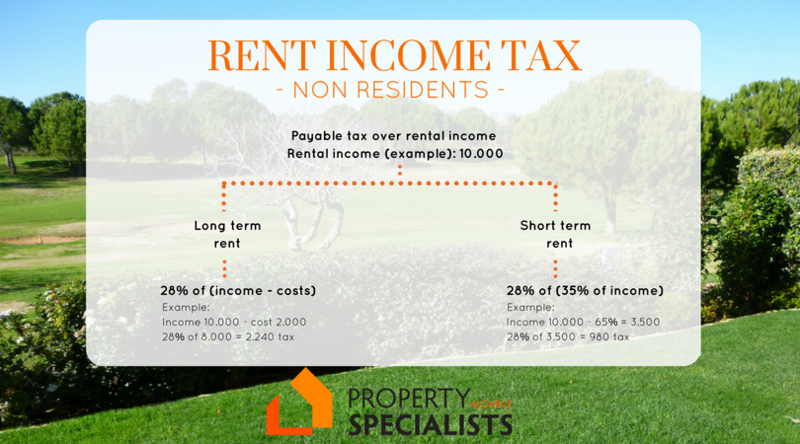 A non-resident that rents out a property SHORT TERM (holiday let), pays 28% tax over only 35% of the income. The remaining 65% of the income is tax free. For those who are resident in Portugal, your rental income on LONG TERM rentals has a flat tax rate of 28% on income, after expenses have been deducted. Alternatively, you can choose to add rental income to your other income for the year and pay tax at your normal scale rates. However, with rates up to 48%, this option only benefits those within the lowest (14.5%) tax rate band. 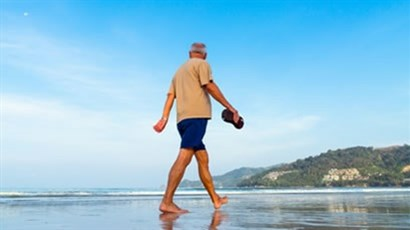 A Portuguese resident that rents out their property SHORT TERM (holiday let), pays 28% tax over only 35% of the income. The remaining 65% of the income is tax free. There have recently been proposals on long-term rental tax changes which are likely to be contained in the 2019 budget submission currently being discussed in parliament until November 29th 2018. After which, changes may or may not be included in next year's official budget. 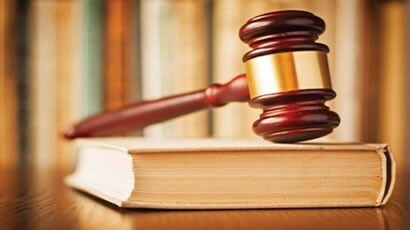 Tax regulations can be complicated and are frequently changing, so we suggest discussing your own personal financial situation with your Portuguese accountant, and with a reputable International Financial Advisor such as Blevins Frank. PLEASE NOTE: If you rent property to tourists in Portugal, you must arrange an Alojamento Local licence. There are various requirements including compliance with safety requirements, registration of floorplans with the local council (camara), and the installation of legal signage and first aid equipment. The process is straight forward, but can be time consuming getting the relevant paperwork in place and signed off to obtain the license. A reputable Property Management company can you guide you through the process. For more information about the property buying process and buying costs in Portugal please download our FREE 'Portugal Buying Guide'. For Mortgage and Financing solutions to help you purchase your new property investment CLICK HERE.